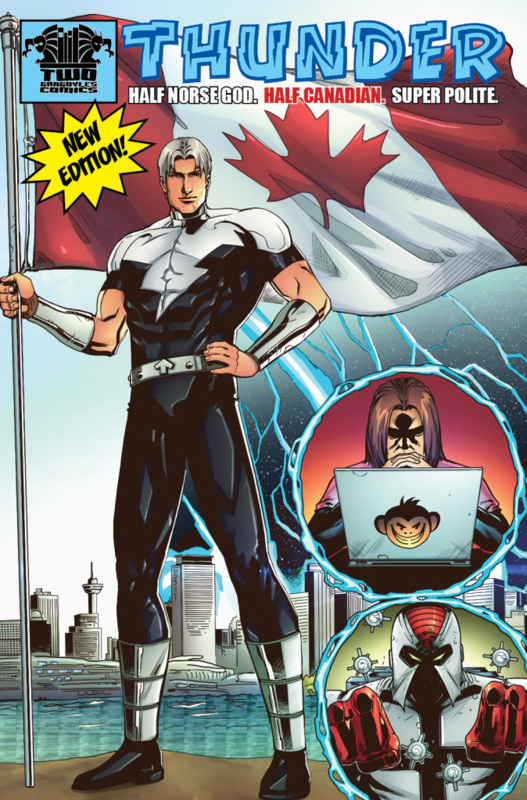 Just to let you all know that the refreshed-art, updated THUNDER #1, 2nd Edition, with art by Mark and Marvin Marvida, layouts by original Dean Ehm, is now available FREE TO READ on the site! Just click on the COMICS link on the right! Want to support Two Gargoyles Comics? There are several ways! Support our PATREON at https://patreon.com/twogargs , buy us a coffee at https://ko-fi.com/A045NET , or buy our comics in digital format or print at http://www.indyplanet.us/two-gargoyles-comics/ !